Buying an LCD monitor for your desktop computer isl about matching its features and functions — including size and usability — with your specific needs. Our comprehensive guide to choosing a monitor makes the decision easier. LCD (liquid crystal display) monitors – LED screens are also available – are lighter, brighter and smaller than the old CRT (Cathode Ray Tube) monitors. This makes them perfect as a second computer monitor (working on multiple documents), or for watching movies and playing games in restricted spaces. 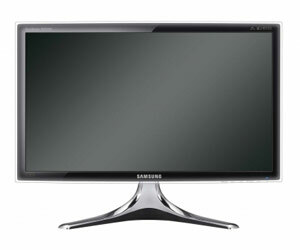 LCD screens most commonly range between 19-inch and 30-inch, measured diagonally across the screen. Ensure you measure the space where your monitor will sit before purchasing. If you work on multiple documents on your PC, two smaller monitors might be better than one large screen. Look for LCD monitors with height-adjustable stands; the top of the screen should be in line with, or just below, your eye level. The monitor controls should be easily accessible and the options menu (to change contrast, brightness etc) easy to navigate. How Do I Connect My LCD Monitor? 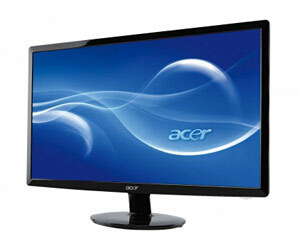 Most monitors come with a DVI (Digital Visual Interface). To connect with older computers, look for a VGA port. An HDMI connection is desirable for connecting Blu-ray, PS3 etc. To connect external speakers, look for Audio In and Out. Resolution: Measured in pixels (horizontal x vertical). High Definition (HD) content, such as Blu-ray, is delivered at 1920×1080 (1080p). Aspect ratio: Proportion of width to height. A contrast ratio of 16:9 (seen in 1920×1080 screens) will display full HD content without distorting the image. Contrast ratio: The difference between the light intensity of the brightest white and the darkest black. Look for the highest ratio possible; above 10,000:1 is good. Pixel response rate: How quickly the pixels can change colour, measured in milliseconds (ms). A good response time is between 5ms and 2ms. Luminance: Measures brightness in candelas per square meter (cd, m2), otherwise known as nits. Between 200 to 300cd/m2 is fine, but 500cd/m2 is better for TV and movies. 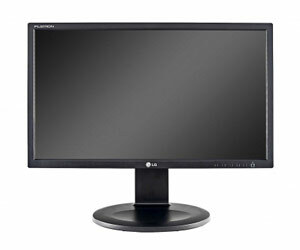 Whether you work from home or in an office, make sure the LCD monitor is usable for extended periods of time. Size: Consider two smaller screens to work between multiple documents. Height adjustable stand: Reduces strain on your neck and eyes. Brightness: You don't want to strain your eyes, so aim for above 250cd/m². Make sure that you get the best picture quality and colours possible to view and edit images. Brightness: Aim for around 500cd/ m². Contrast ratio: Look for over 100,000:1. Resolution: Aim for the highest possible; a 1920x1080 screen is considered full HD. Use your LCD monitor as a gaming station or a movie screen. Pixel response time: A fast time like 2ms is ideal. Connections: Look for HDMI to fit Blu-ray. Size: Measure the space where your screen will sit before deciding on size. Better moving pictures: Look for LCD monitors with a pixel rate of 5ms or less. Widescreen: An aspect ratio of 16:9 is best for widescreen movies.